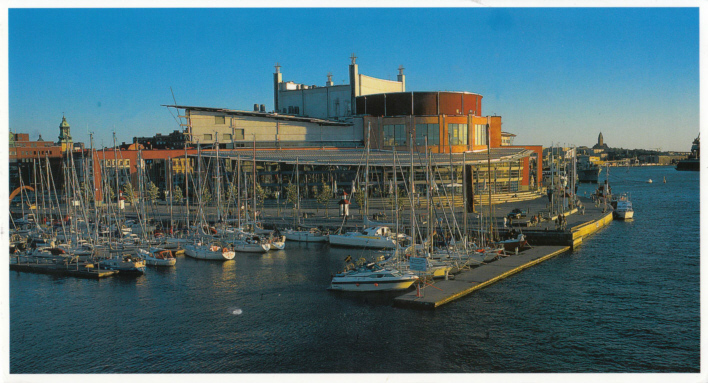 Opera house, built 1991-1994 by Jan Izikowitz. Opened 1 Oct 1994. 1301 seats. 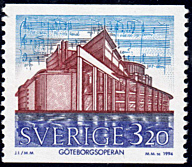 Reverse Text: "Hälsningar fran, Grüsse aus, Greetings from Göteborg - the Heart of Scandinavia; Göteborgsoperan - Göteburg, Opernhaus - The Göterborg Opera house"